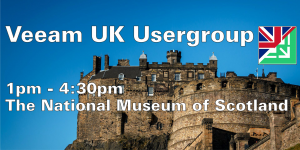 Join us on Thursday, Sept 8th 2016 for the 1st Veeam UK User Group at the stunning location of National Museum of Scotland, Edinburgh EH1 1JF. The Veeam UK User Group is chance to network/collaborate and learn about all things Veeam related, from a users perspective. All levels of experience welcomed, whether you are a Newbie, an Expert, or just want to know more about the product. No sales pitches, just good old fashioned chat. Get tickets via Eventbrite. Run by Users for Users. We would like to thank Nimble Storage for sponsorship of this event. 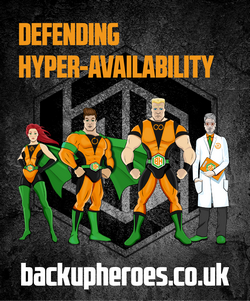 If you feel you have something to say around Veeam technologies, why not offer to present at one of the Community sessions? Get in touch via [email protected] or via our Slack.com channel (drop us an email for your invitation). a free for all for resellers/consultants. a place where resellers/consultants promote their own business.